If Riu resorts don’t fit your needs, there are plenty of other great deals out there to be found on all-inclusive vacation packages – whether it be in the Caribbean or to many other great destinations. 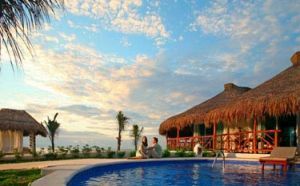 According to our friends over at Smarter Travel, there are a ton of all-inclusive resort accommodations on sale right now. According to the article, all-inclusive resorts are joining the big cruise lines in offering up some insane deals for the rest of year – including deals for up to 65% at some resorts. If you are set on a Caribbean vacation this fall or winter, there is certainly no shortage of deals to be had, whether it be on your cheap hotel or scoring a great deal on your air ticket. Club Med also has an offer right now, with their all-inclusive resorts in Florida, the Bahamas, Caribbean and Mexico going for just $99/night. With all the money you save on your flight and accommodation, you may just have some cash left over for a last-minute deal on a getaway before the end of the summer of a few extra souvenirs in your bag.